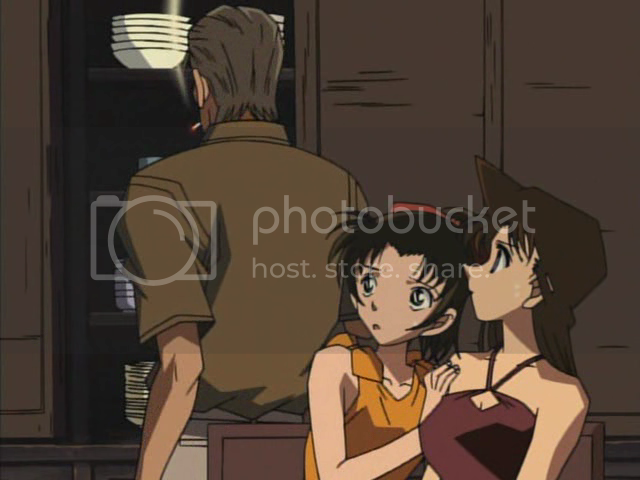 Ran + Kazuha + Sonoko + Sera!!!! Shounen Tantei Dan, Dai Seikou! I just captured these two images from ep. 118, and I think they say it all! 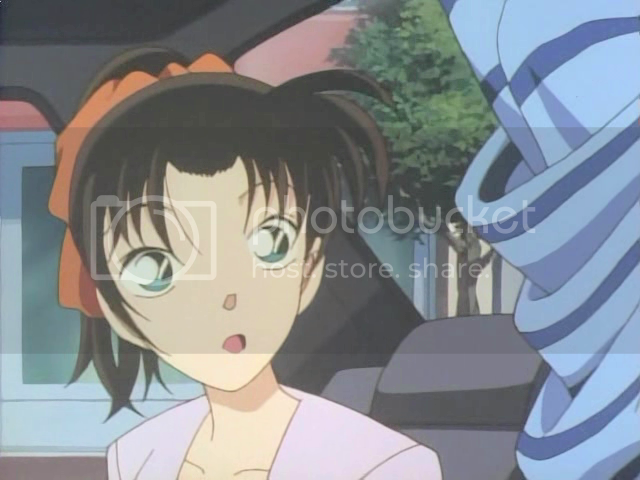 If it hasn't been done already, someone really needs to write a shojo-ai fanfic about what Ran and Kazuha are up to when the boys are out being detectives. Last edited by c-square on March 17th, 2012, 1:40 am, edited 1 time in total. If Ran were interested, she would have been staring at Kazuha during the beginning of 291. 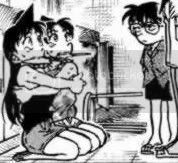 Conan-kun wrote: If Ran were interested, she would have been staring at Kazuha during the beginning of 291. Unfortunately, I don't have that one... Is it available subbed? Last edited by c-square on April 18th, 2008, 11:35 pm, edited 1 time in total. Awesome. If there's ShinxHei, there should be some KazuxRan as well, no? "Holmes of the Heisei Era"
I'm going to dig deeper to see what other evidence I can find. More to come! This is all meant as tongue-in-cheek, dude.. tongue-in-cheek. Last edited by c-square on April 19th, 2008, 1:48 am, edited 1 time in total. I was waiting for someone else in the English literate fandom to notice. 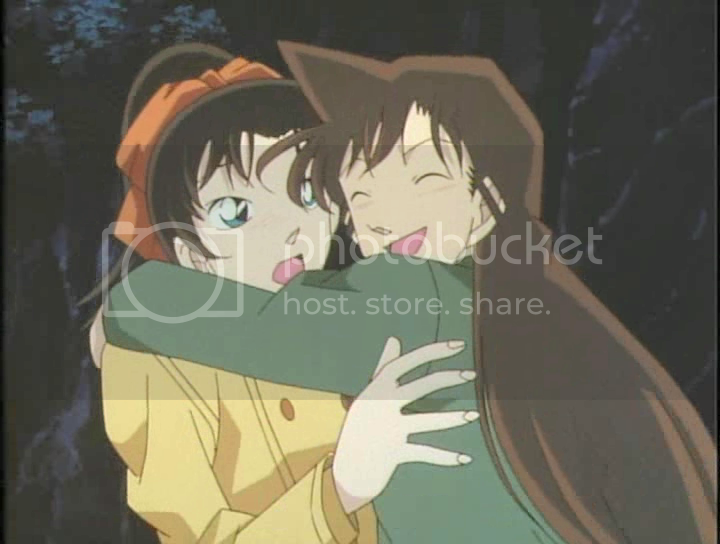 Ran calls Kazuha adorable and hugs her (episode 222). 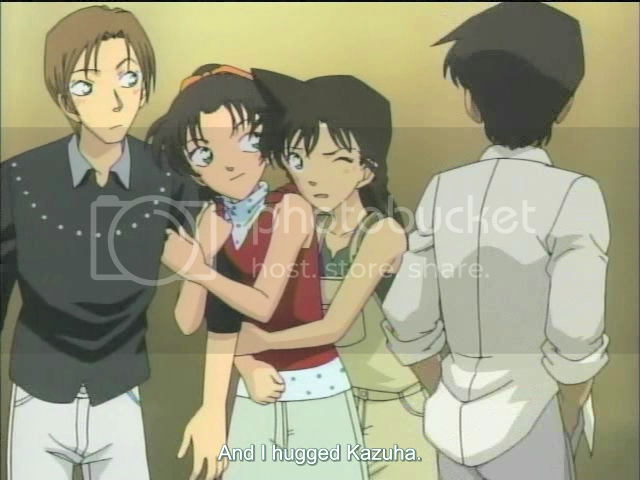 Kazuha happy to have Ran hugging her (episode 407). Edit:Added some links for the shirt change scene. Last edited by Nyarl on April 19th, 2008, 10:01 am, edited 1 time in total. Nyarl wrote: I was waiting for someone else in the English literate fandom to notice. 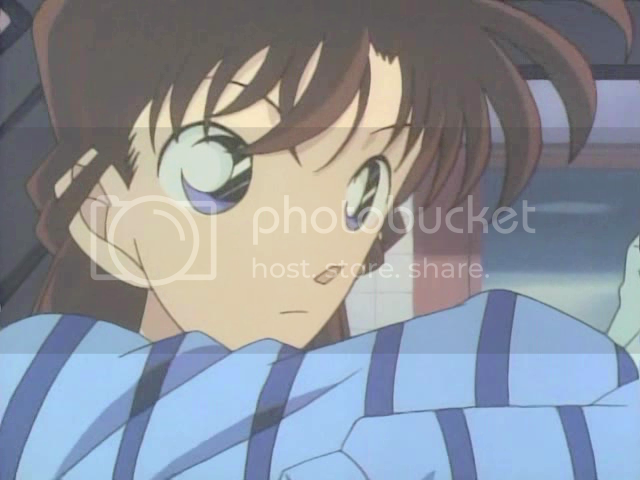 Ran takes off her shirt (episode 141). These are great!! Thanks for adding them. If anyone else finds evidence supporting the "torrid" romance between these two, please post it! I see them as just best friends, but those scenes imply something more quite a bit. c-square wrote: These are great!! Thanks for adding them. If anyone else finds evidence supporting the "torrid" romance between these two, please post it!